CRAZY, MAGICAL AND TERRIFIC ONLINE CASINO SLOTS ARE RELEASED IN FEBRUARY! As soon as you managed to win some extra money on January online casino slot releases (yes, here at Eat-Sleep-Bet Casino we know everything;)) we bring you further newbies from the online casino world! This time we call out all the horror, magic and Carnival lovers, wohoo! Would you dare to spin the online casino slots´ reels if big cash wins were for real?! After the midnight, clowns are not funny anymore…or even before?! Go and better check on your own, there is a reel circus in the town! Unfold mysterious curtains of the GameArt chapiteau to enter the Circus of Horror and beware, only the bravest Eat-Sleep-Bet players will make it out alive! 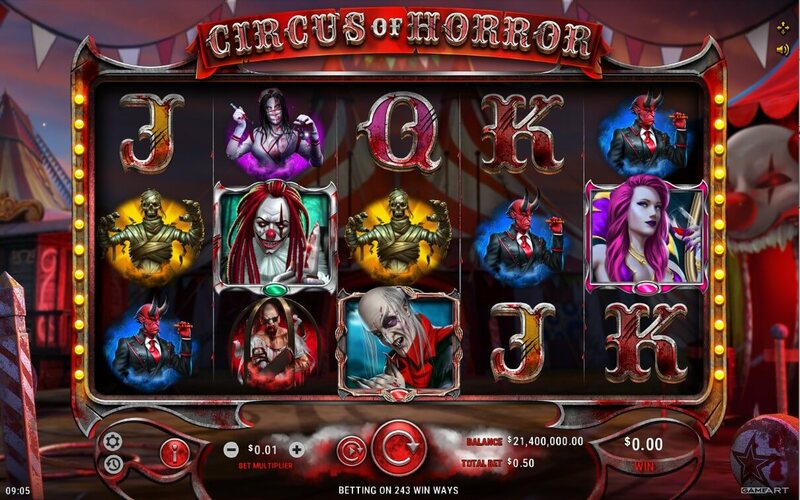 Seems like there is no room in online casino hell, so all the beasts and monsters await you on 5 reels and 3 rows of Circus of Horror! And do not get tricked! The clowns on this online casino games might be giving you wide smiles, candies, Wilds, Scatters or Free Spins just to find the best moment to imprison you! Sooner or later you could find yourself in the Electric Chair bonus game, yikes! Not scared of being electrocuted? 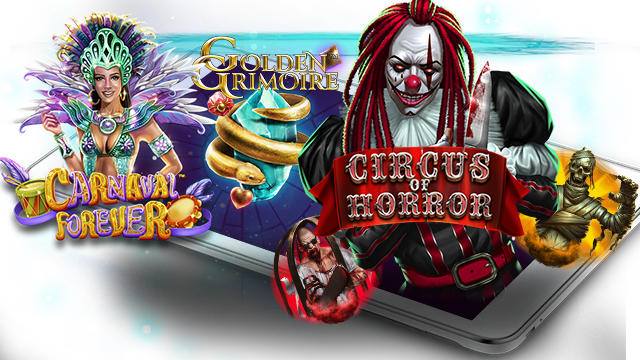 Just go ahead and set your foot in Circus of Horror from 4th February at Eat-Sleep-Bet Casino! And what if you survive?! Then we can promise you a reel Circus of Horror competition very soon! The prize pool will be bloody good, so better stay tuned with Eat-Sleep-Bet Casino! Would you like to hide from the rest of the world so you could secretly explore the outer casino slot worlds? Then open the door of the secret NetEnt astronomical observatory and get down on it! Golden Grimoire with its magical symbols and dramatical musical background will make you hesitate whether it´s all the magic or the science! Well, seeing is believing! 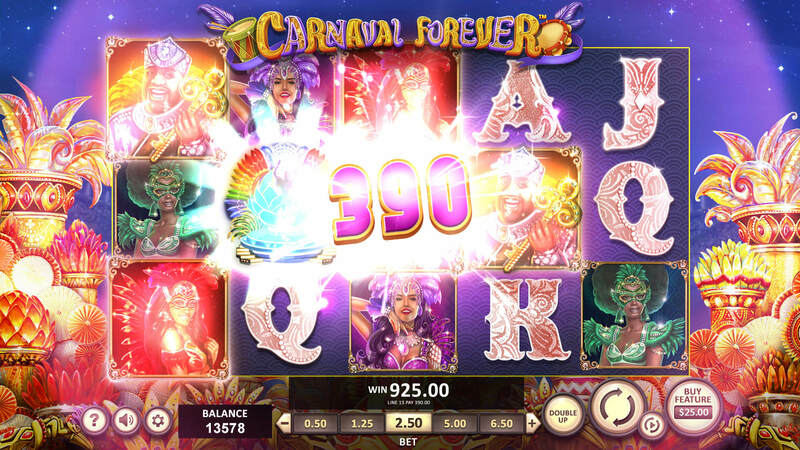 Just spin all the 5 reels in 4 rows and get fascinated by the picturesque views of the infinite universe in the background of this online casino game! On Golden Grimoire, no-one is gonna bother you, it´s just you, 40 bet lines and the stars bringing you eternal and astonishing wins! Indulge in this dimension bending online casino slot and make sure you do not miss Mystery symbols, Wild Substitutions, Free Spins or Sticky mystery symbols! All the magnificent coin wins will be available on Golden Grimoire already from 21st February at Eat-Sleep-Bet Casino! And now it´s time for…Carnival! Well, at least, that´s what we expect – an incredible colourful show, never-ending party and cheerful moments full of excellent wins on the latest Betsoft casino game! So far, Betsoft is just being mysterious though, not even a basic information about this online video slot has been revealed! Well, that´s really getting on our nerves here at Eat-Sleep-Bet Casino! However, we know we can put our expectations quite high as the latest Betsoft online slot releases like mesmerizing Faerie Spells, cheeky Chillipop or controversial Max Quest – Wrath of Ra left us with our mouth opened! Just let´s be patient and we can dance through the shiny reels of Carnaval Forever together on 19th February at Eat-Sleep-Bet Casino! And do not forget, there is still the Best Winter Spins competition going on! 5000 FREE SPINS GIVEAWAY will soon be over (3rd February), so if you wanna grab one of the spin-tastic prizes, hit the reels of Tiger Heart, Gold Of Ra, Money Farm, African Sunset or Joan of Arc now and win big at Eat-Sleep-Bet Casino!